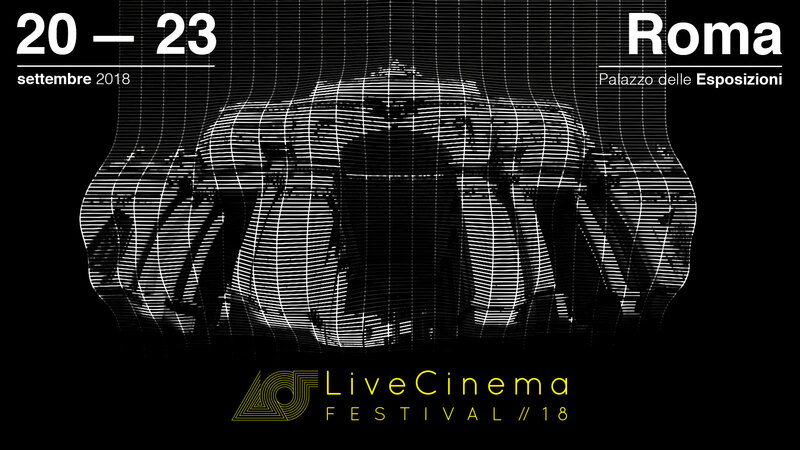 8 countries involved, live cinema performances, screenings and workshops for a festival that reflects the spirit of our era in which technology has totally invaded every aspect of our lives: “Live Cinema Festival”, the international event focused on the most innovative performances of live audiovisual shows. An international cast of artists will perform live unreleased performances or hosted for the first time in Italy, realized in real-time for a synaesthetic and hyper sensorial experience. For the first time hosted in Palazzo delle Esposizioni, “Live Cinema Festival 2018” is sponsored by the Capitoline Superintendence of Cultural Heritage, and it’s part of “Estate Romana”, promoted by Roma Capitale – Department of Cultural Growth and in collaboration with SIAE. Special thanks to the Austrian Cultural Forum, the Polish Institute of Rome, the Czech Center of Milan and the Hungarian Academy. Four festival days in which machines, arts and technology melt together in order to spread new messages and new perspectives, proposing a new imaginary, breaking down the borders between the medium and the content, manipulating images and using different approaches to make the final content that is clearly relied on the artists’ improvisation and ability. “SCREENINGS”, from August 1 to September 19, will be a preview that aims to get the audience ready for the festival. As in the previous years, the Audience Development conference will take place on September 19 – one day before the festival starts – in the Cinema Hall in Palazzo delle Esposizioni. Here roman organizations and institutions will try to figure out the best strategies to help European artists and professionals to reach the widest audience in Europe. To enrich the program of the event, since September 20 a four days lasting workshop – for a total of 8 hours – will start. It will be focused on this new technique in the artistic-performative context and it will be held by Emanuele Tarducci, Architect and Interaction Designer who lives and works in Rome, teacher at RUFA Design University and Visual Artist. The workshop aims to give the technical and technological tools to make an audiovisual Live Cinema performance. All shows are free entry subject to availability, filling out this survey ensures the entrance priority.